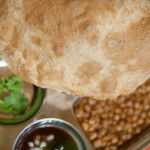 Tandoori Roti or Naan is served with the lunch specials from 4-6pm. 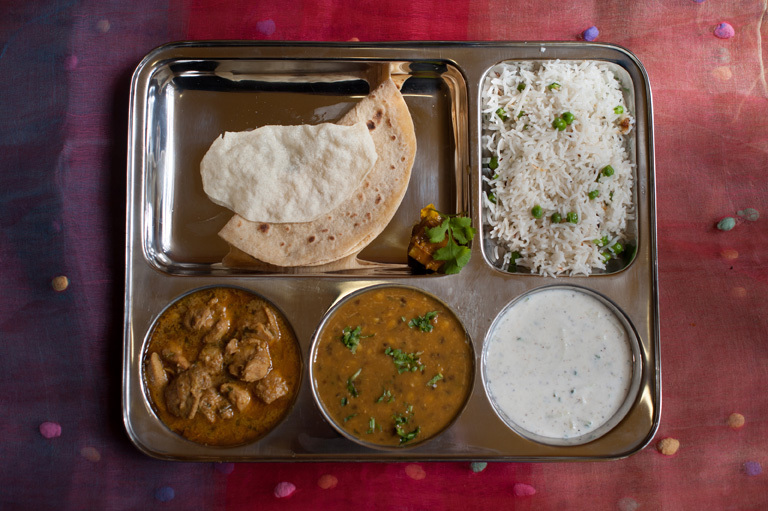 Our lunch specials change daily and are served as they would be in an Indian home. 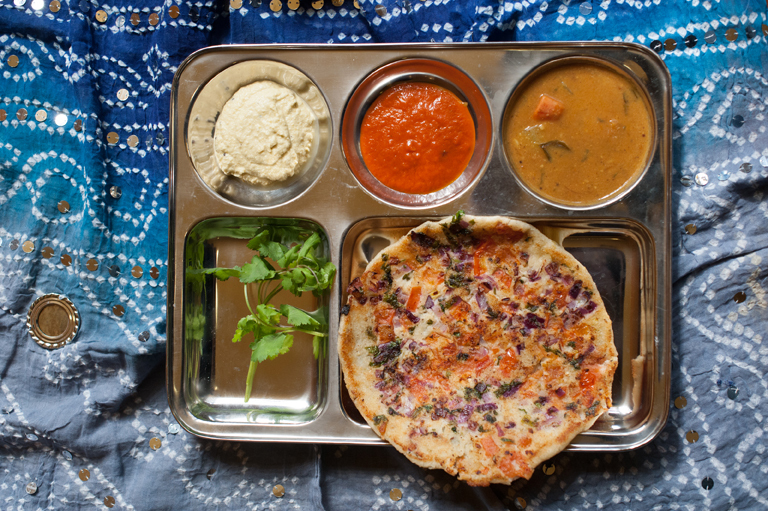 Weekday Lunch Special | The lunch special is what you would eat if you were visiting our home in India. 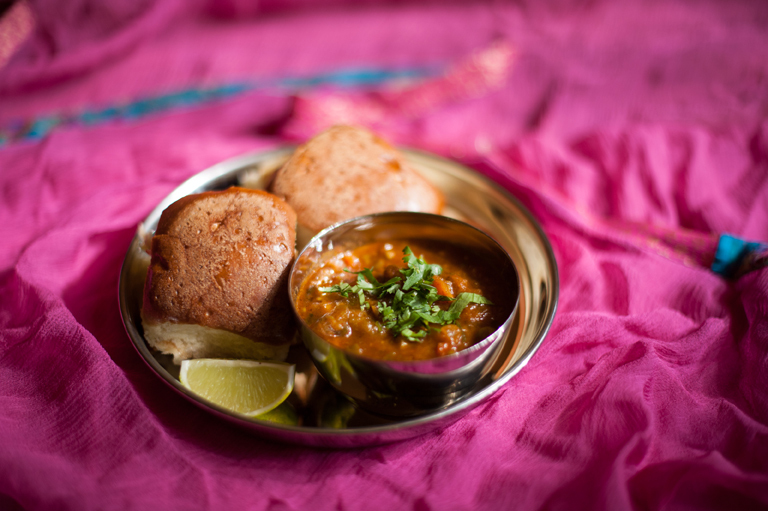 The menu varies greatly as dishes are chosen from different regions of India. The specials are prepared fresh every morning and our aim is to keep them as light as possible. 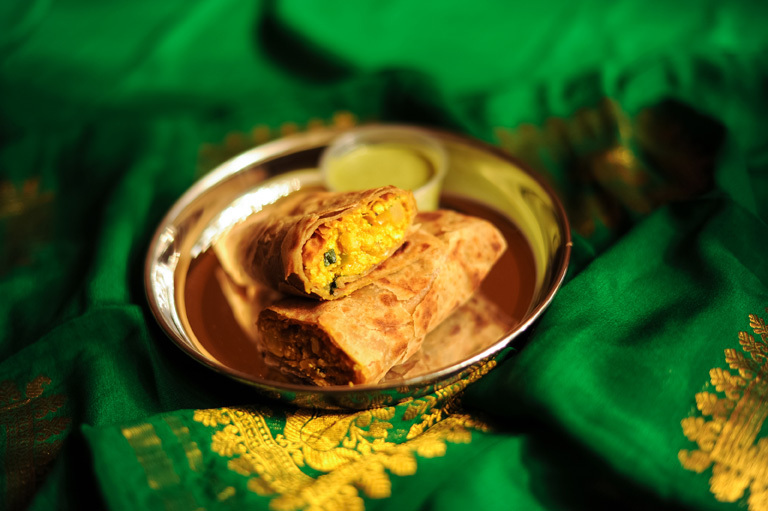 The achaar is very intense, so dab at it with your roti. 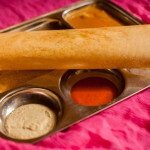 Dosa (GF, V+) | The Dosa pushcart would always put the first dosa made at the foot of Ganeshji’s altar. 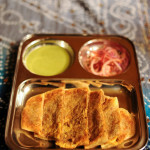 He would roll out these savory crepes with filling, on a taava, and serve them with sambar and chutney. 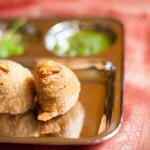 Please choose from plain, masala (potato), moong, or vegetable filling. 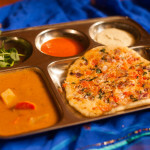 Uttapam (GF, V+) | The Dosa Wala was simultaneously working a smaller taava flipping crispy, savory pancakes topped with tomatoes and onions. 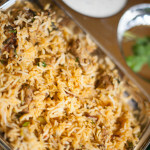 Biryani (GF) | On Friday, the holy day for Muslims, the streets leading up to the mosque are lined with vendors selling Biryani in huge clay pots. 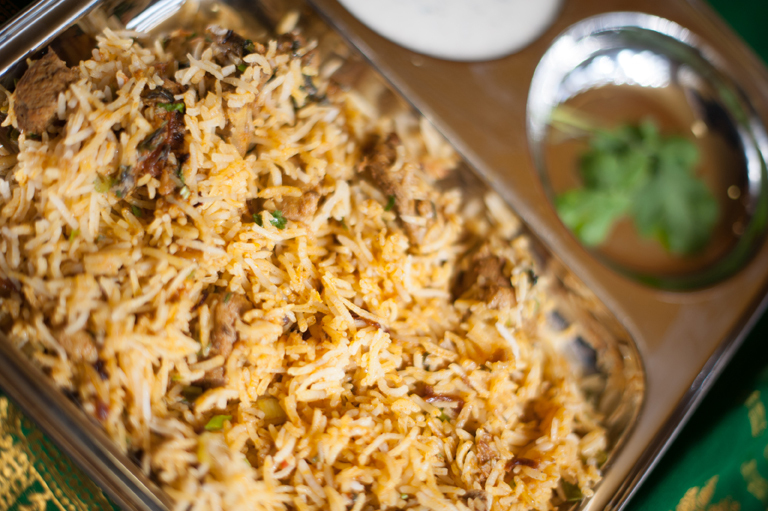 The layers of rice and bone-in meat cook together all day long. 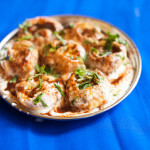 Choose between chicken, lamb, chicken boti, or fish. 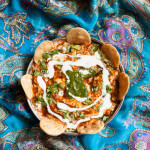 Dahi Papdi Chaat (V) | Mid afternoon finds North Indians detouring to their favorite pushcart for this cooling snack of flat papdis, potatoes and garbanzo beans smothered with yogurt and chutneys. 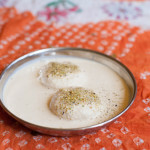 Dahi Pakori (GF, V) | My grandma would have us help her grind lentils which were then made into dumplings and soaked in hot water to make them soft to their core. 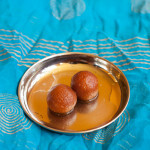 They are dipped in yogurt and served with mint and tamarind chutneys. 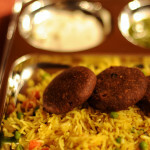 Bhel Puri (V+) | At 3pm sharp everyday the Bhel Puri Wala would pass our neighborhood ringing the bell on his pushcart. 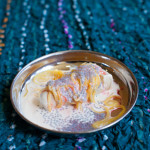 He would serve this zesty mixture of rice puffs, potatoes, onions and chutneys covered with sev in a recycled newspaper. Ask for it sweet, medium or spicy. 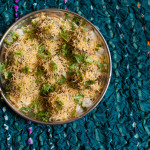 Sev Puri (V+) | The Bhel Puri Wala’s other specialty: flat papdis with potatoes, onions, and chutneys topped with sev and, when in season, raw mango. 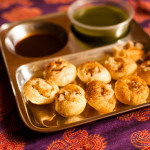 Pani Puri (V+) | You will find vendors with pushcarts and even bicycles selling this fiery, mint water filled in puffed puris. 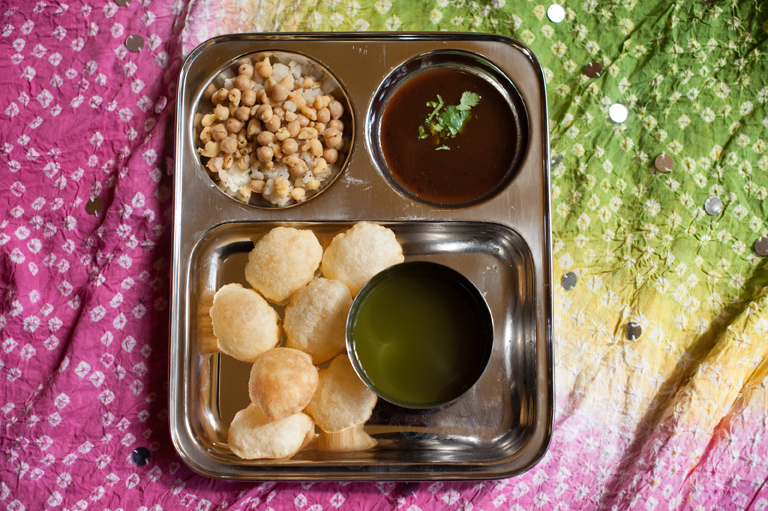 The puris are filled with potatoes, garbanzo beans and boondi and served with a side of tamarind chutney. 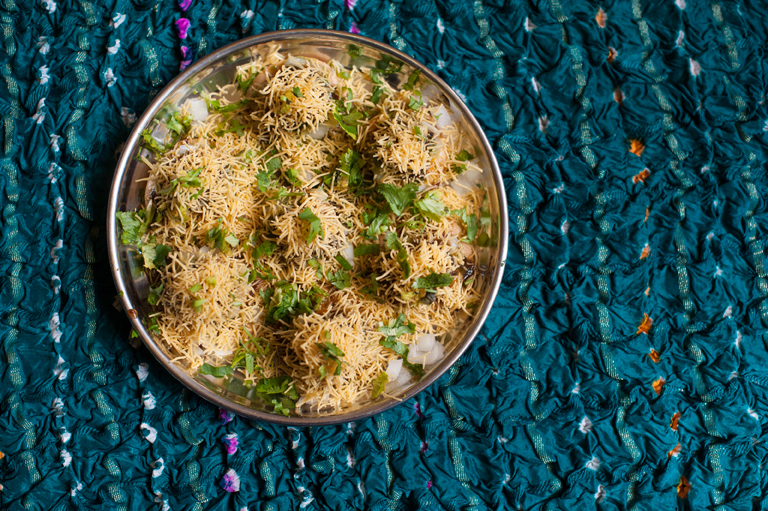 Aloo Tikki (V) | Pushcarts with large taavas have these potato patties lined up in a circle ready to be served with cholle and chutneys. The crisp skin hides the soft interior. 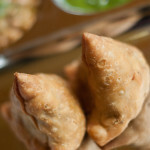 Keema Samosa | A lamb filled version of the popular samosa. 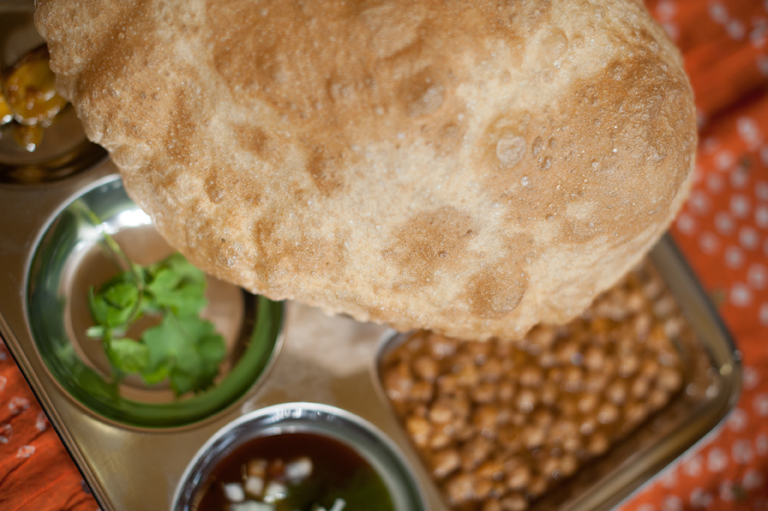 Cholle Bhature (V) | The big puffy thing. Break off a piece of bread with your hands, dab the pickle and scoop the cholle into your mouth. 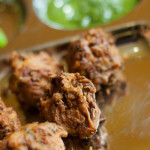 Mix Veg Pakoras (GF, V+) | There isn’t a better snack served on a rainy day with a cup of tea. Every part of our dinner special is made fresh, daily. Our dinner specials are prepared and served fresh that day. 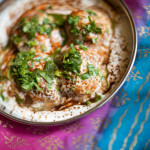 Weekend Dinner Special | On weekend evenings we fire up the Tandoor to serve Tandoori Chicken and Naan. 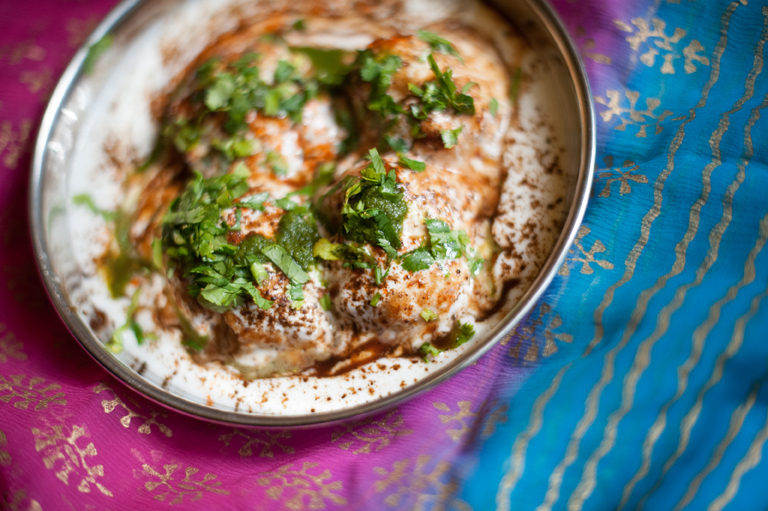 Along with the Tandoori Chicken, our Friday through Sunday dinner menu features daily changing Chicken Curry, Lamb Curry, and Vegetarian dinner specials. 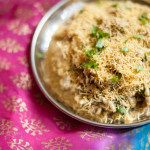 These dinner specials are hearty and have a more intense mix of spices. Weekend Dinner Specials are served Friday–Sunday, 4–6pm. 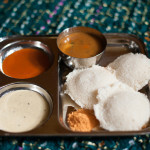 Idli (GF V+) | The Dosa pushcart also had an Idli steamer which, every hour or so, would turn out these light and fluffy rice cakes with sambar and chutney. 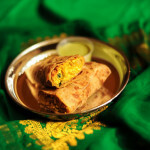 Veg Kathi (V) | This hearty paneer roll is a favorite for vegetarians. 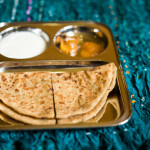 Paratha (V+) | This traditional North Indian breakfast invokes memories of mom in the kitchen rolling parathas on tavaas and serving them hot with yogurt and achaar. 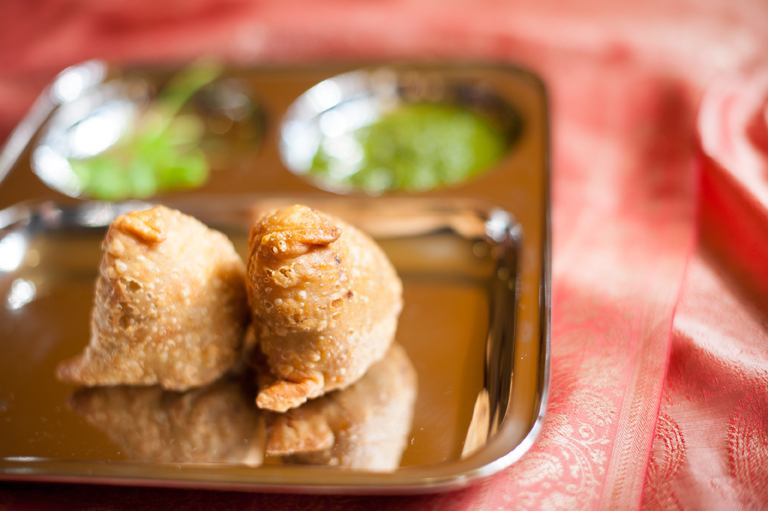 Please choose from an aloo (potato) or gobi (cauliflower) stuffing. 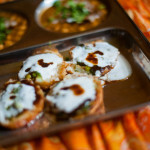 Pav Bhaji (V) | Linking Road in Mumbai had a row of stalls all serving bhaji with pav. 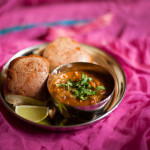 You would see the bhaji on a taava with a ring of Amul butter around it. 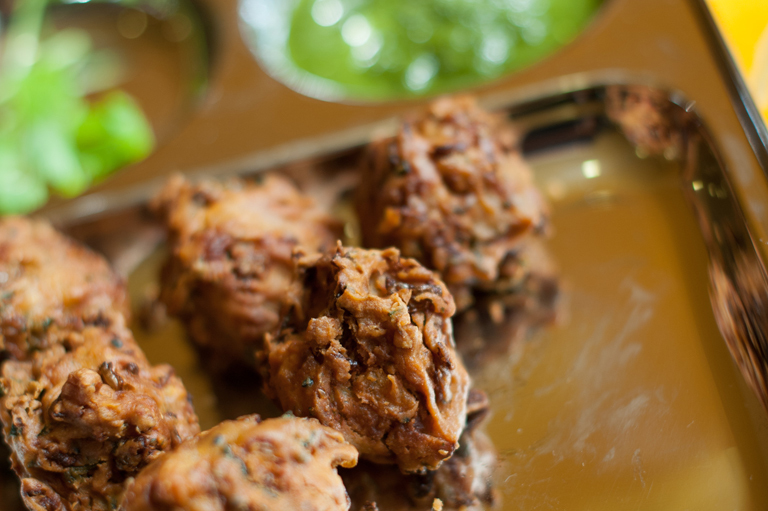 The bhaji is intended to be scooped up with the pav. 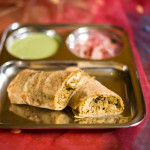 Chicken Kathi Kebab | It is mesmerizing watching the workers at Bade Miya, in the shadows of the Taj Hotel in Mumbai, flip the paratha and add egg to it. It is rolled together with spicy chicken. 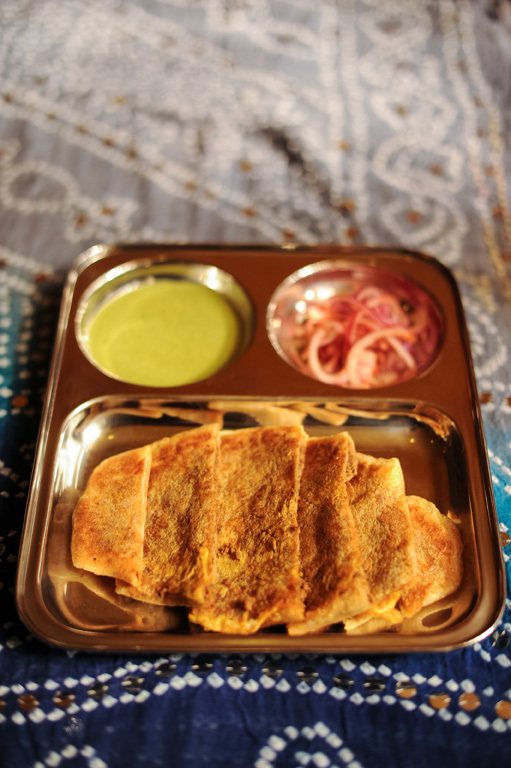 Lamb Baida Roti | Bade Miya’s popular late night snack is this roti made on a taava and stuffed with minced lamb. 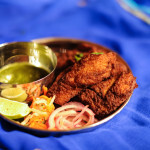 Koliwada Fish (GF) | As you approached the end of Linking Road in Mumbai, the aroma of fried fish would draw you to this wood shack. You tell the owner the quantity and he would drop it into hot oil with his free hand. 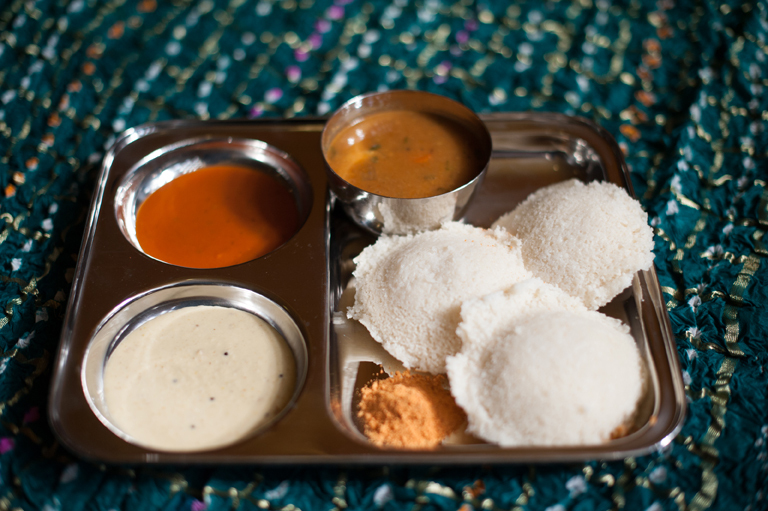 He would serve it to you in a newspaper with a side of onions and chutney. 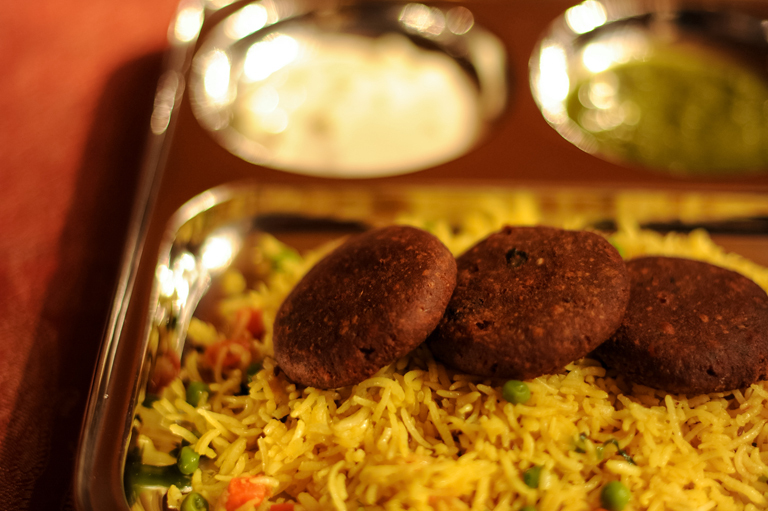 Shami Kebab (GF) | This Hyderabadi specialty of ground lamb and lentils is served over rice. It is renowned for its smooth texture and delicate composition. 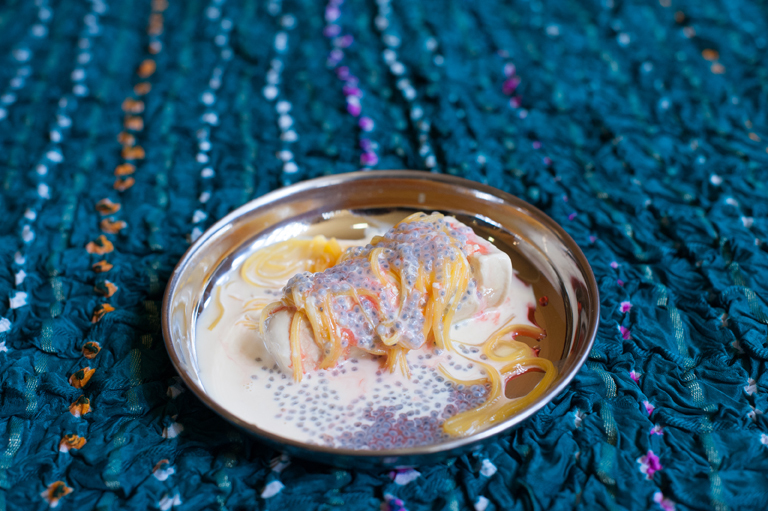 Kulfi Falooda (GF) | Kailash Parbath in Mumbai was my post-exams destination for this saffron flavored ice cream topped with vermicelli and basil seeds and a hint of rose. The chicken we use is from Pitman Farms and is hormone and antibiotic free. We use free-range lamb from the Central Valley. 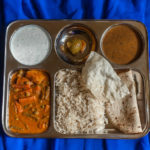 Vegetarian and non-vegetarian dishes are prepared on separate equipment. 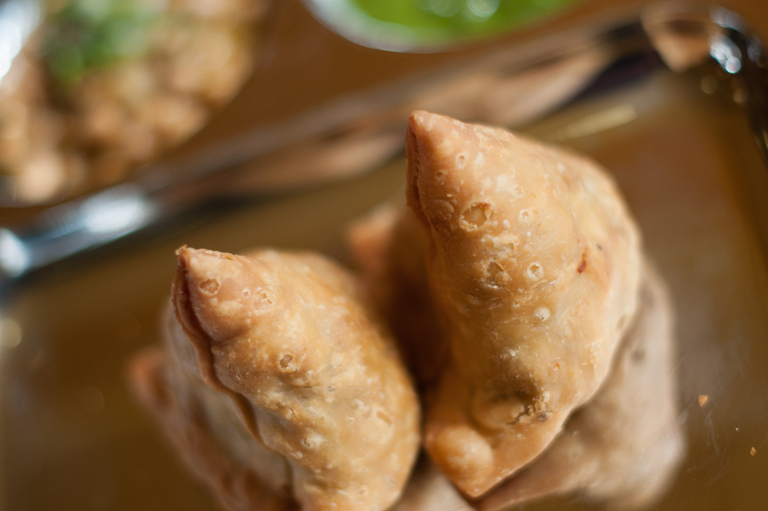 Indian food is meant to be eaten with your hands. 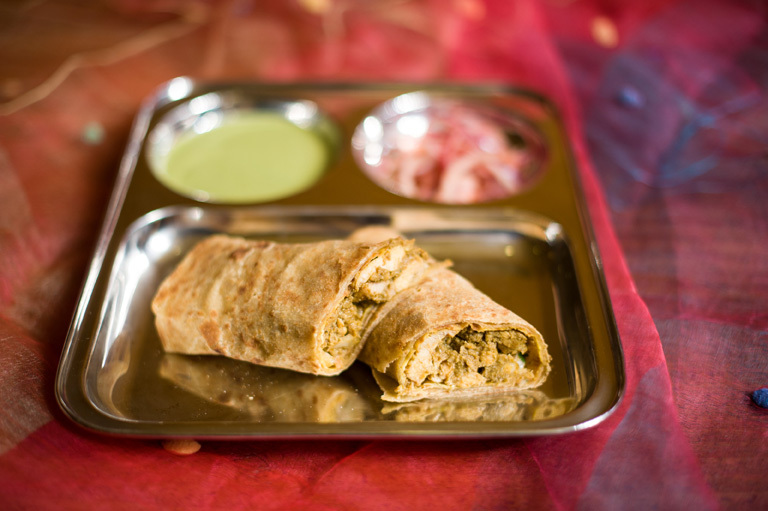 Most food served at Viks contain curries, chutneys and yogurt, so eating with just your hands can be tricky. Spoons help get to the curries and such while the fork can be helpful in breaking off a piece of tandoori chicken or cutting into a kathi roll, both tasks can be accomplished with a spork! Viks has been using sporks since its inception and moving away from sporks would just be “un-Viks” of us. 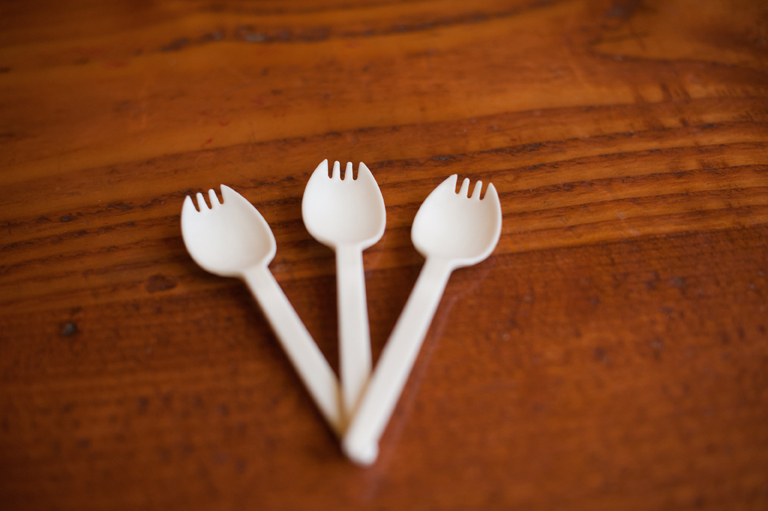 Help reduce waste, support the spork! A quick view list of our menu items. Click here for the Weekday Menu and Weekend Menu. 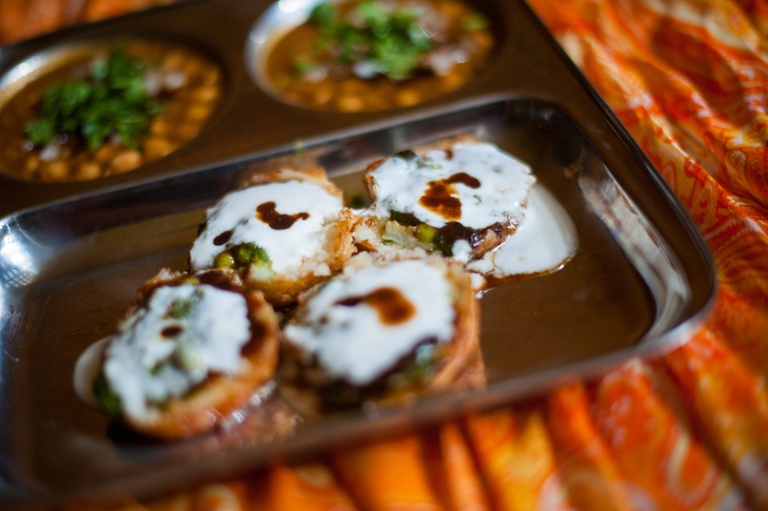 We offer Chaat priced per piece, buffet-style party trays, party packages, and custom catering for 250+ people. Please visit our Catering page for more information! Be sure to visit us on Facebook and Twitter for our daily specials.